We have had good experiences with Cascade Vacation Rentals. The view is not to be compared with others--because it is so effective and beautiful! The cozy cabin was just right for our 3-night getaway to the North Shore! Everything we needed at hand, perfectly situated near--and far--enough to Grand Marais to dine, shop, and pick up necessities. Only contact was online all that went smoothly. A young man came one afternoon to trim back some of the yard overgrowth. He was very nice. Loved the view of the lake and the easy access. This is our eighth time renting through CVR and this cabin's lake access was the best in that it was easy to reach the lake complete with stepping stones to a private island. This aspect of the stay is most important to us because we come for Lake Superior. Home very private with trees hiding neighbors. Driveway a bit steep and dicey. Cabin adequate. I always have a good experience with your rentals. It was a cozy little spot for a get away. The people that we ended up communicating with were very helpful and responsive. Aspenwood 6550 is a great place. It is beautifully maintained and has a lot of space which was nice for our family of five! Our three kids stayed in the guest bedroom and we used an air mattress for one of them. The view from the home through the tall windows is stunning. We loved opening up the windows to hear the water crashing onto the beach below. And we enjoyed being able to walk down the steps to the rocky beach for bonfires at night. The house is bright and airy and so welcoming! There were so many nice amenities in the kitchen as well which made it great for cooking. The customer service with Kathy and Tammy was great. We had fun, but really for all the calls I made and mopping up basement and living room, it was too expensive to not be in top shape. It leaked. Short towels for 8. Shower broke, someone came though our second day. Kathy graciously delivered towels and TP herself. Cupboard had only a couple basics and most were clumpy. Other place we've stayed (coyote hill)much better equipped kitchen, birken had no baggies, extra tupperware to put leftovers in. Nice to have a washer, very thankful. Owner as you know has done no upkeep. Beautiful view, and location decent. Deck by beach great to use. Garbage was pretty full when we got there. 3 fans in closet didn't work. We thankfully brought 2. Only two bars of soap for 8. The house is beautiful! The kitchen is especially well equipped for meal preparations. Beds are very comfortable. 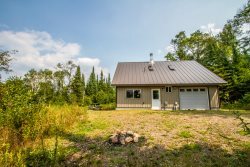 The location is easy to find near the Gunflint Lake and to get around the area for recreational activities. Very quiet and peaceful. The cabin and lake were lovely! Very clean and in good condition and met all of our needs. We loved making a fire and roasting marshmallows while the moon rose above the lake each night. This is a beautiful location. Great views of Lake Superior. We had everything we needed right in the condo. It was clean, well kept. We had a wonderful time with close access to many sights along the shore. It's a beautiful place to stay and a great location in Canal Park with fun things to do close by! It's a nice perk included to have the use of the hotel pool, whirlpool, sauna, and exercise room! There's a lot of room and nice to have the kitchen included to cook our own meals! We really liked the keypad to open the door instead of a key!! Awesome to have a garage parking stall too!! It was all good. Easy to walk to town. Well kitted out. We enjoyed our stay. good. not problems at all. The location is fabulous on Lake Superior. Hear the waves at night. View the lake during the day on 2 sides of home with large windows. Inside was lovely. Also very private which is what we were looking for. Love this place and may return next year. Loved our stay! Beautiful property. Enjoyed sunset and moonlight every night. I like that they are NOT commercialized as much as other places along the North Shore. Very quiet and peaceful.A hidden Gem! Superior Reflections id Great! We have stayed in Cabin 3 and Cabin 1. Both are clean, cozy,and peaceful! Love them! Everyone I spoke to on the phone was pleasant. There was someone who spoke with the two of us when we were loading up to get ready to leave who was very nice although, we're not sure they were an employee. We had a great time at the Chateau Leveaux. Good location for hiking trails and there are nearby stores and restaurants. We are thankful they are pet friendly. The building and property was well kept and quiet for a condo. Easy to handle over the internet; punch in a code and you are in to the unit. Number to call if something is needed. Have stayed here 3-4 times and love it. Always wonder when I reserve for 3 adults why the sofa bed is not made up . Could have had a few more local brochures for 2018 on food, things to do, etc. Would like to have a Coho Cafe brochure available although I pulled it up on the internet. Good location-easy to walk the lake walk to Coho, museum, nice restaurants available close by. Close to Grand Marais for a day trip. We enjoyed our stay at the Birken Bay cabin. It was peaceful. A few downfalls were: we got notified a couple of days prior that one shower did not work. Cabinets were dirty, dishwasher was not working and a gentleman stopped in the night prior to our departure asking when we would be out. Some parts of cabin do need to have some work done as it is older.